The Grand National has a world-wide audience and is a popular race for betting. Horse racing is quite popular in the UK, Ireland, and France. If you are a fan of it, you should already be knowing about the National Hunt events. Fret not, if you are not aware of those – we’ll give you the details about everything necessary you need to know. National Hunt racing involved horses to jump fences and ditches. Yes, it has been divided into two categories. So, either you get to see horses dealing with hurdles or participating in steeplechases. Okay, enough of the register jargons – when I say “hurdles” it means the horses have to jump the obstructions. But, in steeplechases, not just hurdles, but every kind of obstructions – water, ditches, and so on. Note: In this article, we just educate people on what they like – we do not promote the use of animals to race – even though the number of fatalities of horses is rare because they are well-taken care of. Yes, we are here to talk about the National Hunt events – but before that you should get some background information on what really happens and how it originated. If you are an expert on horse racing, you should be already knowing it. It’s more popular in the UK now – but it originated in Ireland. With the development and breeding of horses – nowadays french-bred horses can be more seen in the national hunt racing events. In the early days, the race wasn’t properly organised – it was more of a “take the horse and meet there along these routes” but now we have proper tracks and well-trained horses to race. 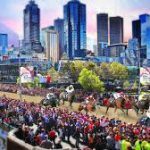 So, now that you know about what a national hunt event means – let us talk about the biggest national hunt events that you should watch out for if you are a horse racing enthusiast. 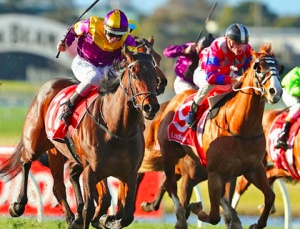 These national hunt events are the also the biggest place for betting – so if you are into that we’ll talk about it in the later part of this article. Liverpool, England: This is where the Grand National meeting takes place. Here, you will find the biggest fences, and the largest distance. Undoubtedly, the ultimate test of the rider and the horse commences here. This takes place in the winter season, when it’s less dangerous for jumping. Also note that the race type here is – steeplechase and not just any casual hurdle race. It is being broadcasted using free-to-air terrestrial television in the United Kingdom. Jump racing is more popular in Ireland. However, in the UK, it’s more balanced with different seasons and stuff. So, for the Grand National, UK is the best place to go with. It is yet another popular National hunt race event. You could say that it’s second to the best horse racing event. And, as you must have guessed, it’s in the UK as well. The race prize money is huge too – but lower than the Grand event. Here, both the best of british-trained and irish-trained horses come to race. Why the National Hunt events for betting? The National Hunt events are usually ideal for betting and seeing your pick win. Of course, there’s always a chance for the predictions to fail – so keep in mind betting isn’t for everyone. You could get the best betting offers online with a bunch of sites starting already for April 4,5,6 to address the Grand National. It should be your personal preference and research if you are into betting. Which event to choose for betting? I’m no expert here – but you are. However, I do have suggestions that you should look for cheltenham betting offers and Grand National offers before jumping on a conclusion. Usually, people think the biggest event will get them the most – but that’s not always the case. So, you need to be careful on that ground before you bet on it. 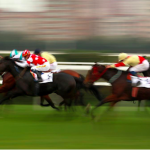 Horse racing is exciting and the things associated with it are even more surprising. There’s a whole lot of thing that you can get involved on when you go out for the Grand National and Cheltenham festival. 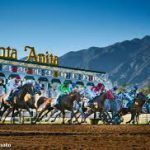 Look for the best-bred horses, the best riders, and also to bet on someone to grab some cash – sure, go ahead!